I have AAT level 3 AQ2016 books for sale except Synoptic Book. Books are used but good condition.Books was written with pencil. £50 for Tutorials and workbooks. 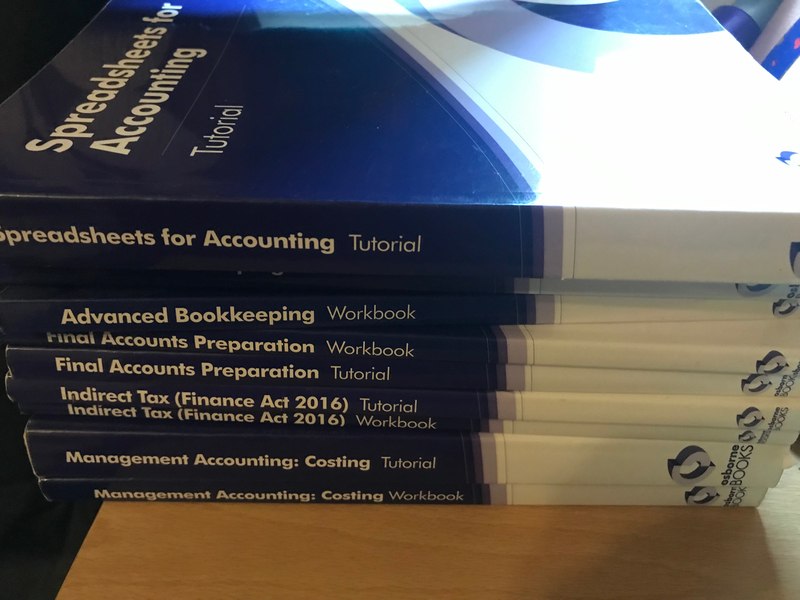 Books are on sale are Spreadsheets , Advance bookkeeping Tutorial and workbooks, Final account preparation tutorial and workbook,Indirect Tax (act 2016) Tutorial and workbook, Management costing Tutorial and workbook..